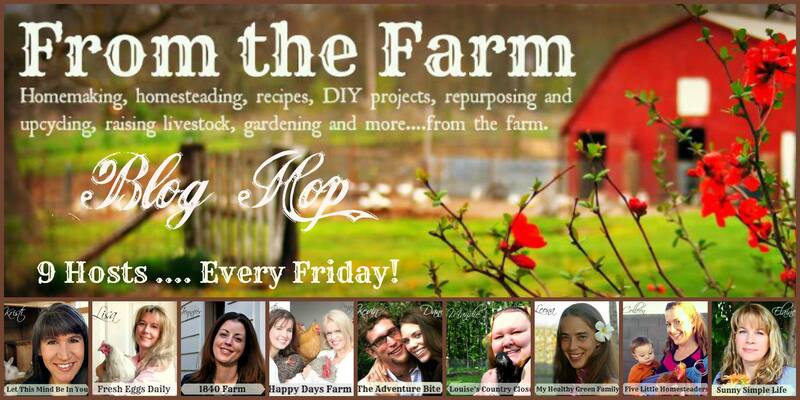 Today I am doing something a little different from my normal Friday posts and instead I am co-hosting the From the Farm Blog Hop! I have been participating in this hop for a while now and always find such wonderful posts from other bloggers. I hope you are able to submit some of your own posts if you are a blogger, and if you aren’t a blogger, please feel free to click through some of the links to view other posts. I know you’ll find something you enjoy! Note: Linking up to this party will automatically sign you up for an invite to next week's party via email. To unsubscribe, please reply to any email you receive and you will be removed. Linking up also allows us permission to publish one of your photos on our blogs, Facebook, and/or Pinterest pages. I shall check out some of these links. Happy Friday my friend!!! Congratulations on being guest co-host this week! Congrats on the co-hosting! This is my favorite of the blog hops. Thank you for hosting! Looks like some amazing blogs to check out - including yours, of course! I noticed this morning when I at Let This Mind Be in You that you were co-hosting. Congratulations! It's a very nice big photo of you. I thought to myself, I know that lovely face! I went to my weekly email to the blog hop, and was so happy to see you there co-hosting! Looks like a fun blog party. I will check out some of the links. Have a happy weekend! how fun! congrats on the co-hosting! Thanks for hosting! I'm so excited about the new linky- it's SO much easier to use when it fills it all out for you!